The recent rapid surge of eSports into western popular culture has taken many major brands by surprise. Not only has the size of the audience grown, but the number of brands trying desperately to navigate their way into the unfamiliar gaming culture has as well. While eSports have enjoyed incredible success for over a decade in countries like Korea, the eSports sonic boom has only just recently started to hit us here, in the USA. A Business Insider article has found that advertising and corporate sponsorships in eSports are around $900 million. Brand owners and advertisers are adapting to this emergent form of entertainment, and we expect to see further growth in sponsorship deals across the segment. 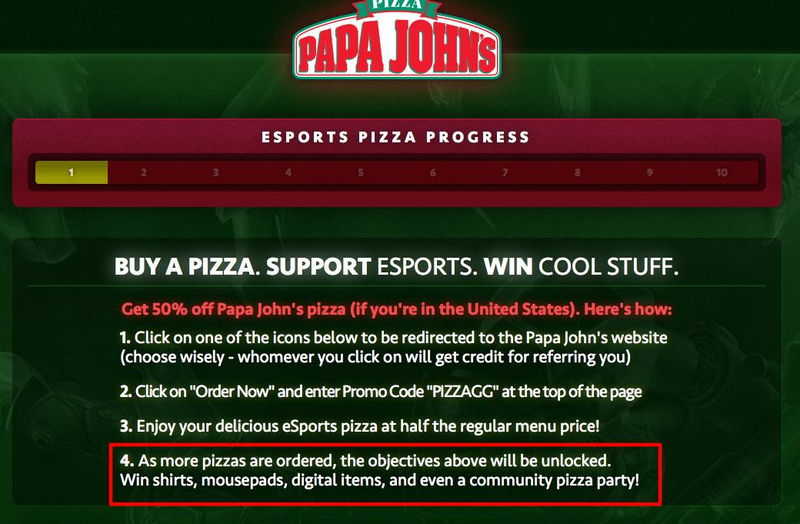 So, how can your brand take a bite of the eSports pie? First impressions are everything in the hearts and minds of spend-happy eSports competitors and fans. Make sure you get off on the right foot with your community and stay there. It’s very important to be strategic with your campaigns, ensuring they deliver added value to the fan and player experience as well as to the game itself. Even then, seeking out the right opportunities to connect with the eSports fans in the most authentic way possible can be a challenge. We've compiled a list of some of the most common initiatives that brands take to communicate the value of their product to eSports enthusiasts. According to Mill, 78.8% of marketers confirmed that video marketing, YouTube in particular, is their most effective marketing channel. An effective way of getting the eyes of the eSports community exposed to your brand is to create compelling videos around the eSports they're interested in, where your brand takes a back seat to the content itself. eSports fans appreciate the brands who bring them valuable content that is relevant to their interests, so simply having "powered by [YourBrand]", or "brought to you by [MyCompany]" can be a powerful tactic for getting your brand recognized without coming across as pushy sales guys. These content marketing opportunities where we can blur the lines between education, entertainment, and advertising are invaluable for building brand recognition within the eSports space. It’s important to speak the language of the community and keep your audience engaged. What better way than to let the Michael Jordans of gaming do some of that talking and relationship building for you? Each of these influencers have tremendous amounts of loyal followers, who see them as a source of valuable information pertaining to their favorite eSport. By leveraging the rapport between content creators and content consumers, branding messages become significantly more effective. eSports Teams usually come in two varieties. There are "eSports Works Teams", and what we call "eSports Agency Teams." eSports Works Teams are teams which are financed and run by product companies, such as the Samsung Galaxy Pro-Game Team — the current League of Legends world champions. You may have seen this model a lot already if you're a fan of football (soccer), rugby or motorsports, where companies such as Volkswagen, IBM, Samsung, Toyota, and Airbus have all had Works Teams at one point or another. As a result of these eSports Works Teams being operated by larger product-focused businesses, sponsoring one can carry more of a challenge for brands looking to enter esports. That being said, many do work with product sponsors, such as Nike, who seed their product to the team's players. If you're looking for more brand building potential than that, it probably makes more sense for your marketing dollars to start and operate your own eSports Works Team. The second variety is by far the most common model that eSports teams have adopted, Agency Teams. Agency Teams are far more attractive to brands looking build awareness through eSports and function as mini esports marketing agencies; using their team to market brands and treating sponsors like clients. Brands who sponsor Agency Teams usually get logo presence on the team jersey (broadcast visibility), team website presence, presence on team social media, and extra visibility through publications when the team performs well. These agency-style teams typically offer additional services such as branded content creation and offer their players influencer status for reviews and testimonials for their sponsor's products and offerings. A really creative way to subsidize the cost of putting on, or sponsoring a large eSports event is through crowdfunding. Last year, DOTA 2's creator Valve, sold in-game items and packages and a portion of the proceeds went directly toward the prize pool at their marquee event, The International. The result was a prize pool of over $20M and one of the largest eSports events to date. How could you leverage crowdfunding for your brand's initiatives within eSports? Surprisingly, digital landing pages are still relatively rare in eSports campaigns, even though landing pages can be the most important aspect of a digital campaign. If you are considering using eSports to market your brand, building out a landing page for your campaign would be a smart move. Remember, landing pages are designed to drive conversions. Keep your eSports oriented landing pages on target and to the point, you won't regret it. Traditional eSports marketing strategies are all effective in their own ways, but to truly stand out and have your brand bubble up to the forefront of everyone's minds, the best way to market your brand will always be to think outside the box. Old Spice has been on a tear recently carried by their willingness to do just that. From April 16th - 18th, 2015, Old Spice took over gaming's largest live streaming platform, Twitch.tv, with a completely outside-the-box strategy. Taking the wildly successful model proven by the Twitch Plays Pokemon sensation, Old Spice created a "live-action interactive video game" controlled by the viewers inside the Twitch chat called "Old Spice Nature Adventure." In this game, "Nature Man" was controlled by the viewers on Twitch and did their bidding for 10 hours a day for 3 days. The entire broadcast was full of humor as a result of its color commentator, who would also intermittently plug Old Spice and remind viewers that Old Spice was the key to not smelling like cheese. The result was an incredibly creative campaign that also appears to have been pretty successful.